I paid my first visit to House on Leeson St recently and the minute I walked in the door I fell in love with the place. This is a truly delightful venue. Open fireplaces, stacks of logs, tables in the garden, a stunning bar, welcoming staff – need I go on? We opted for a table in the garden to take advantage of the little bit of sun that was peeping through the clouds. Fabulous! 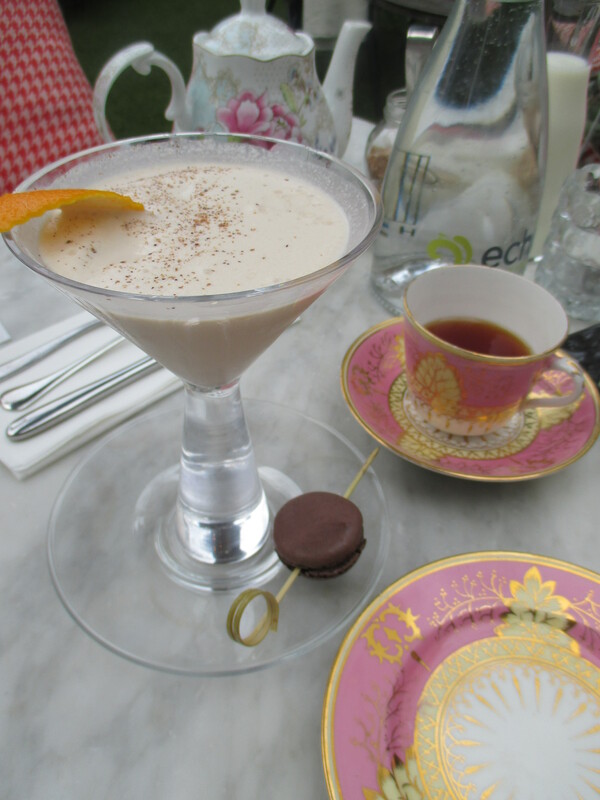 Our first mission was to order one of the cocktails specifically designed with afternoon tea in mind. As a fan of Jameson, Mr Dillon ordered the Eau de Vie (Jameson Black Barrel, Cointreau, Baileys chocolate deluxe, hazelnut syrup, fresh cream and almond milk) and I had a Tom Collins (Beefeater24 shaken with herbs, fresh lemon, hibiscus tea syrup and topped up with Fever Tree soda). Both were delicious, but we agreed that my Tom Collins was the nicest we have ever tasted. 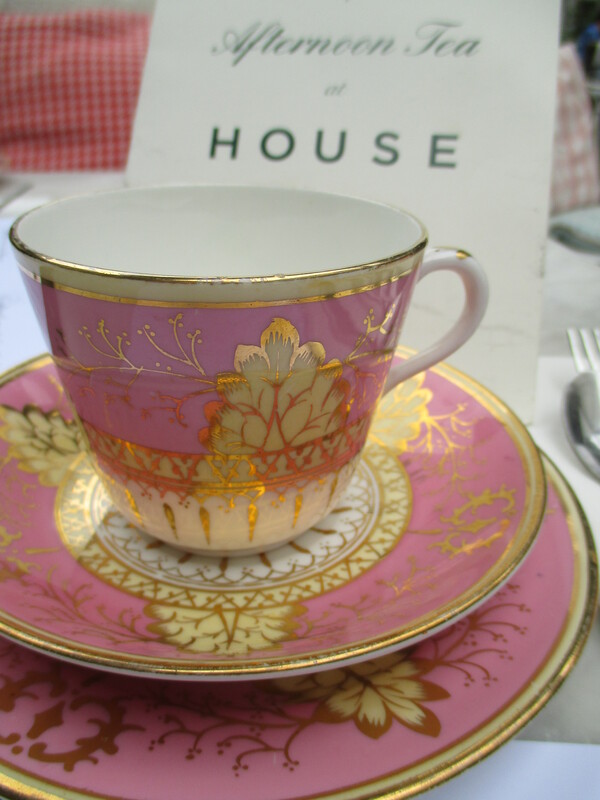 At House you’ll find a good range of loose leaf teas to choose from, but this time we both chose the Irish Breakfast Tea to follow our cocktails. Then the goodies arrived. 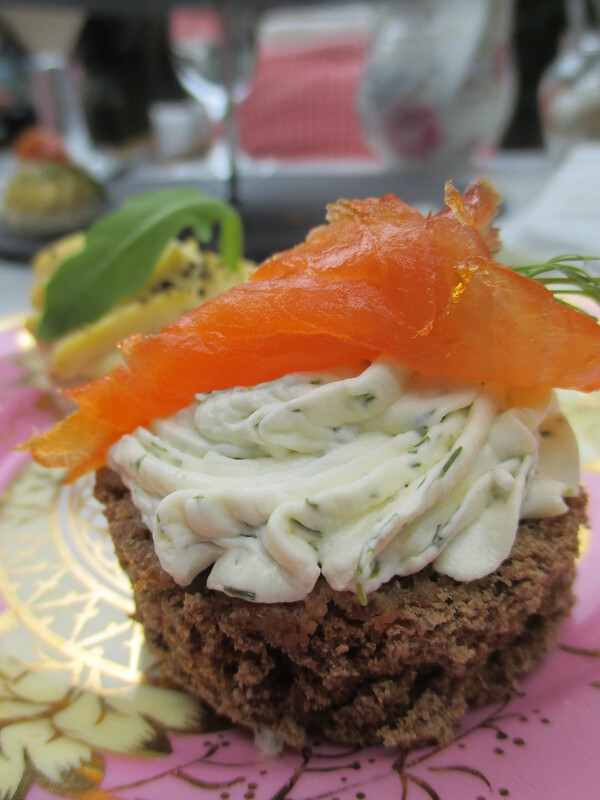 Three tiers – the bottom tier was sandwiches, the middle tier was sweet and the top tier was canapés. 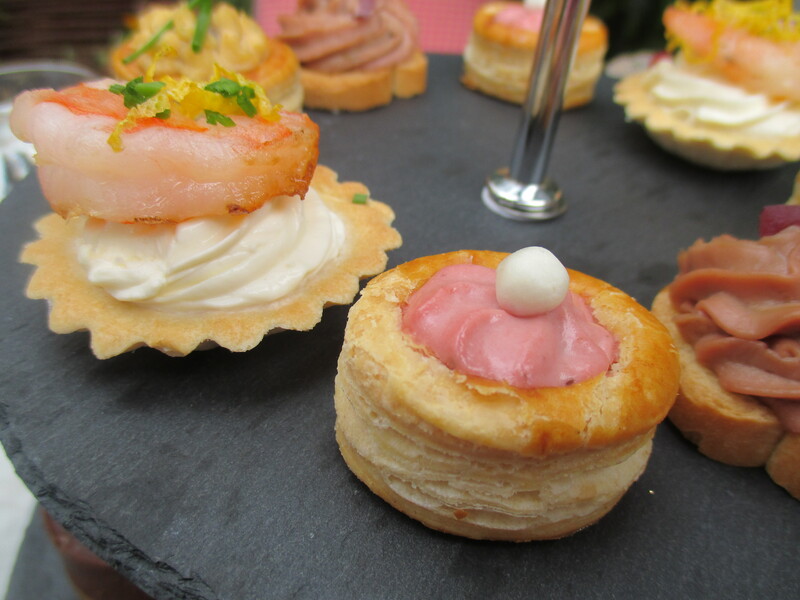 For this afternoon tea you start with the top tier so we tucked into the canapés – goats cheese and beetroot mousse, Cajun chicken bouche, chicken liver paté on crostini and black tiger prawns with lime and cream cheese. These were all delicate bites that were not only delicious but had some really good strong flavour combinations going on. 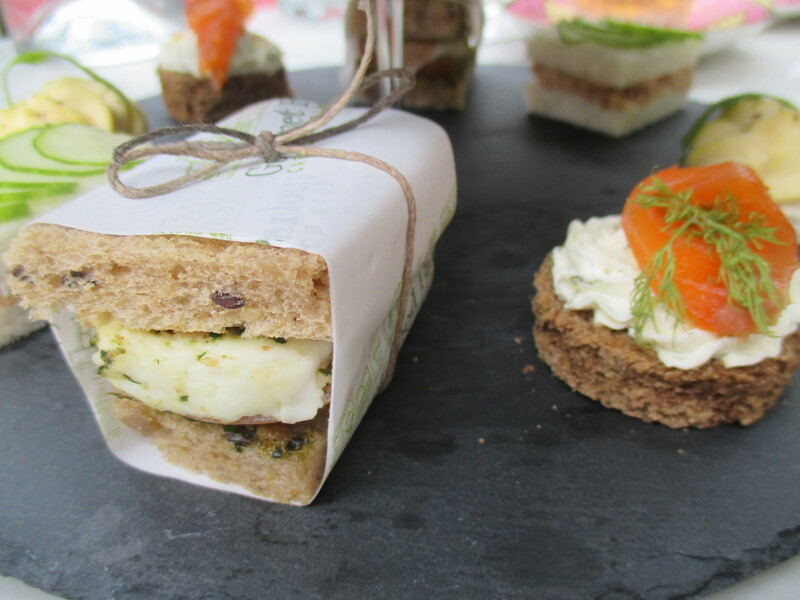 Next up was the sandwich selection on the bottom tier – freerange egg and rocket on granary bread, tomato, Parma ham and mozzarella parcels, smoked salmon on Guinness brown bread and tuna and cucumber sandwiches. These were all freshly made and, again, the flavours here shone through. 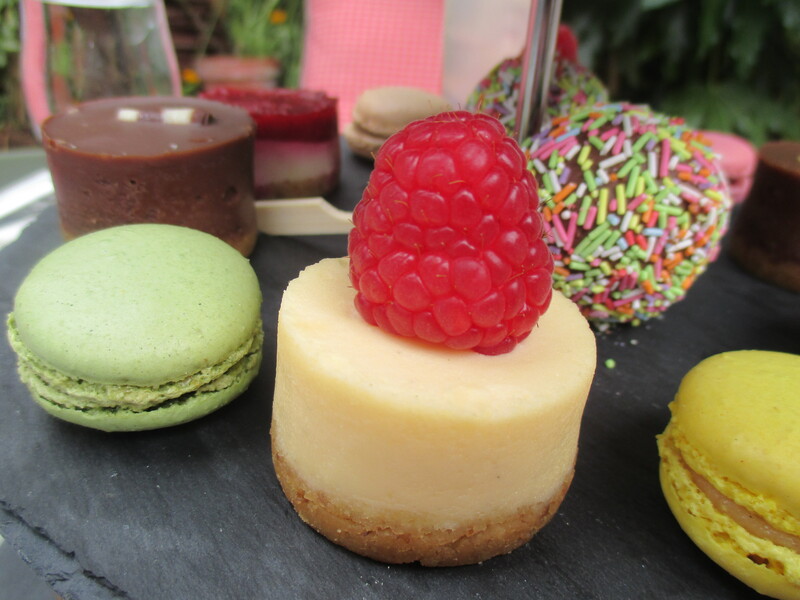 And finally the sweet tier – raspberry cheesecake, vanilla cheesecake, red velvet lollipops, macarons and a chocolate cheesecake. 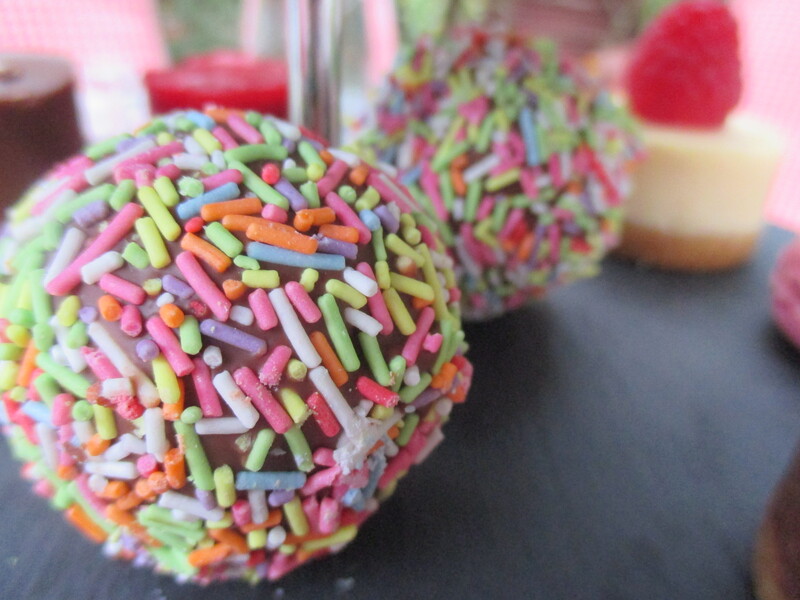 They were light and colourful and a perfect finish to the afternoon tea. The teapot was refilled and the cups were topped up in our lovely spot in the garden. The staff members were helpful and attentive from the minute we walked in the door to the time we left, and I must say, I can’t wait to return. While I was there I just kept thinking that the name “House” could easily be changed to “Home” because once you walk in the door, you really do feel like you’re home. 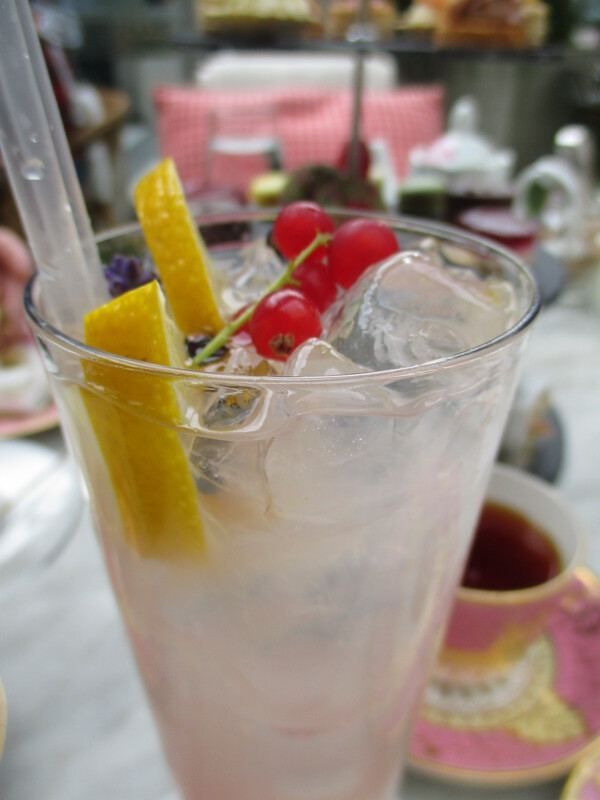 Well, if your home has a warm welcome and a refreshing Tom Collins waiting for you that is…. « Dream It & Do It!